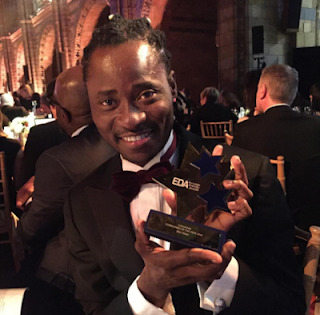 Nigerian gay rights activist, Bisi Alimi-Davis, on Tuesday won the Campaigner of the year award at the 2016 European Diversity Awards. Bisi took to social network to celebrate his latest award. He wrote, "Still basking in the delight of last night and the honour that I have the privilege of holding in my hand. Sometimes, when this kind of thing happens and i am humbled by it, my husband will say 'wow to think you just arrived here less than 10yrs ago and look at how much impact you have made? '.